Sometimes, we can get all dressed up, hair fixed, make up done, awesome shoes on, and still feel like we’re missing something! Parts of our look just seem a little plain, boring, or just off in some way. After this, a lot of girls resort to excessively applying make-up, over-the-top layering, or mixing and matching things that really just end up looking way to busy, resulting in a major fashion “don’t”. So, to prevent these fashion faux pas from happening, I’ve come up with three special tips to give your look some pop! There are times when I forget about primer altogether. It helps your beautiful make-up creation last throughout the entire day. With oil free primer, your pores won’t be so clogged up all the time, resulting in fewer breakouts! Yes, please! Try Smashbox Photo Finish Oil Free Primer . To me, eyebrows are the most underrated part of the face. They completely change the way you look!! 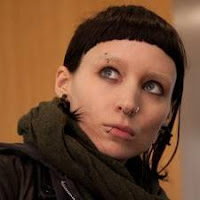 When Rooney Mara starred in the movie “The Girl with the Dragon Tattoo”, she underwent about 100 transformations- piercings, haircuts, hair dyes, weight loss, etc. After everything she went through, she said, “The eyebrows were the biggest shock because that really changed my face, and I didn't recognize myself," says Mara. Try going a shade darker then your hair color. 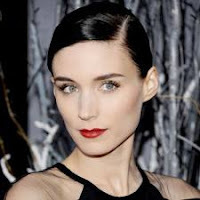 Dark brows are “all the rage” these days. Helpful hint: you can use eye shadow for this, too. Usually, I won't leave the house without three accessories. My key accessories are usually a scarf, a bag (or purse), and earrings. 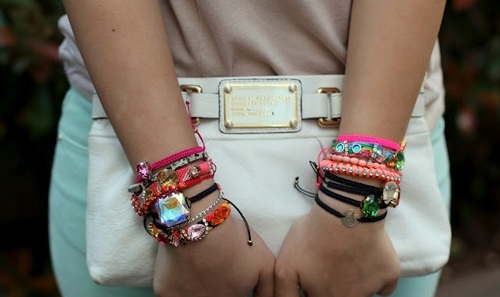 Lately, I’ve been going for the boho look, so I’ve been having some “arm parties“ (lots of bracelets.) I love this new trend. 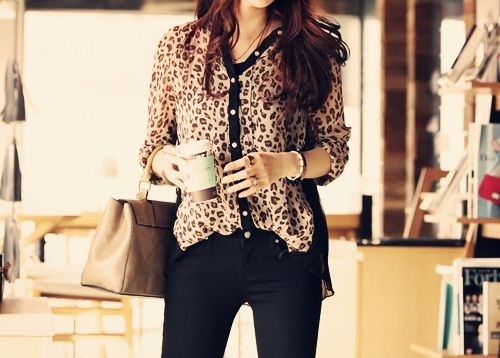 It can make a t-shirt and jean shorts look stylish.